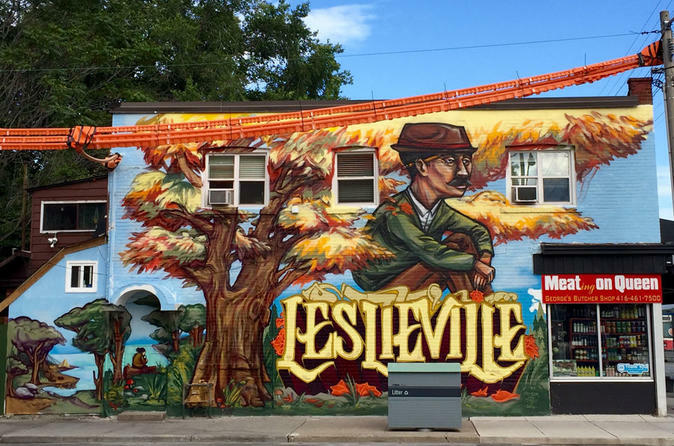 Explore the Riverside and Leslieville neighborhoods of Toronto on this guided, 4-hour, small-group food tour. What began as a small town back in the 1850s has now become a food lover's paradise, full of great restaurants, bakeries, coffee shops, and specialty food stores. Stroll and taste your way along historic Queen Street East, experiencing the small town feel that is still there today. Tempt your taste buds with one of the best breads in the city, Northern Italian wild boar meat balls, or perhaps creamy homemade ice cream. Visit an on sight craft brewery, and a taste of an iconic Toronto culinary invention recently proclaimed "Toronto's Signature Dish" (Peameal bacon sandwich) by Mayor John Tory. Taste the tour that started it all. This was Chef Scott's first tour back in 2010 and the one that helped him pioneer the food tour business in Toronto. Riverside and Leslieville holds a special place in his heart. A guide will be waiting upon arrive at the An Sibin Pub. Belly up to the harvest table and enjoy an Irish coffee or a traditional Canadian cocktail, like the 'Bloody Caesar,' along with a taste of some authentic Irish pub grub from the talented Chef Av. The guide will provide a brief history lesson of Toronto and the story of the area before heading out for seven more stops. Enjoy the city's best bread at an artisan bakery that is also a social enterprise run by a local mission. Taste wild boar meatballs, authentic Mediterranean food, and learn about sustainable fish and seafood while tasting delicious, Ontario smoked trout. Try Toronto's signature dish, the Peameal bacon sandwich, and learn the story behind its creation. Last but not least, finish with the best homemade ice cream in the city. This tour lasts approximately four hours. A vegetarian option is available upon request.